The meeting of the HAZITEK R-COMPOSITES 4.0. Project Consortium took place on 22 November at CIDETEC Surface Engineeringinstallations. This ambitious project purports to develop and implant new technologies to produce Reworkable, Recyclable and Repairable (3R) thermoset composites alonga strategy of Advanced Manufacturing. The Consortium is spearheaded by the company MARISKONEand participated in by FIBER PROFIL, LOIRE SAFE, FIBERTECNIC, MAIER, DIVERSIUS, SARIKI, SEGULA and INKOA. 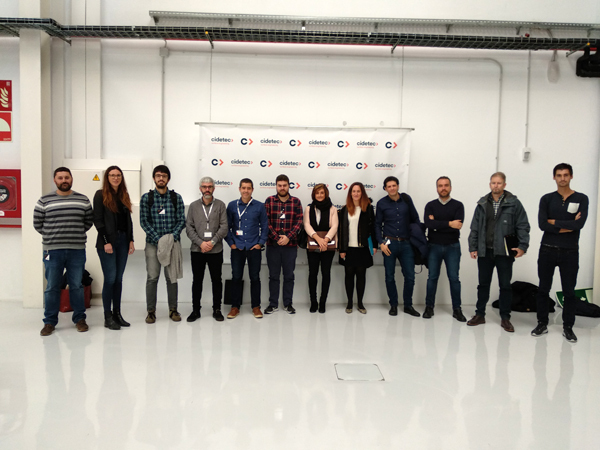 Moreover, to support the companies comprising it, agents from the RVCTI – the Basque Science, Technology and Innovation Network – are participating in the Project: CIDETEC, IK4-TEKNIKER and MAIER TECHNOLOGY CENTRE (MTC). The project meeting saw a pooling of advances on the subject, which is now in phase 2, and of the developments achieved during the current year.